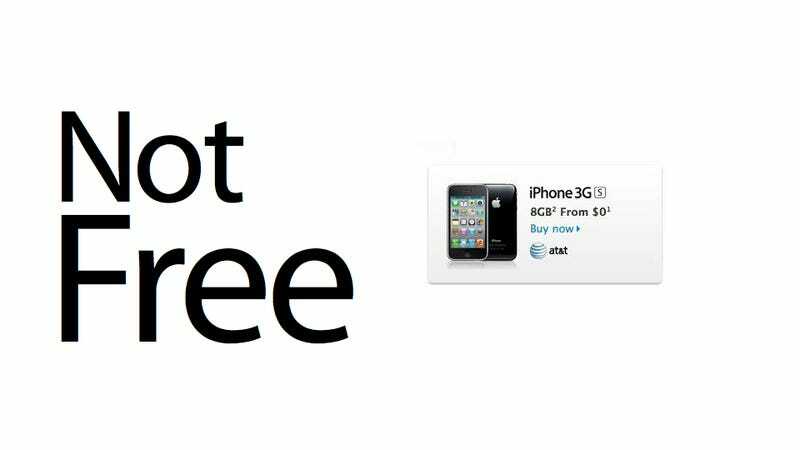 Even though Apple just announced the brand new old iPhone 4S, Apple will still be selling the iPhone 4 for $99 (expected) and the iPhone 3GS for...FREE. Cool! That's the first time an iPhone has ever been free. Too bad it's a complete rip off. Please don't buy the iPhone 3GS. Please, please, please, please don't. Seriously, I wouldn't wish it on my worst enemy. First, the price difference, which is 200 bucks, doesn't matter much in the long run. Look, you're very likely going to be paying ~100 bucks a month for 2-years if you buy an iPhone (voice plan, data plan, taxes, etc), that's already around $2400 for the lifetime of the contract. Why would you skimp out on 200 more dollars spread over two years? Think long term here, it's only $8.33 a month/$2 a week/$0.27 a day for the iPhone 4S ($200/24-months). A quarter a day! If you're already spending 2 grand on an iPhone plan, you can afford a quarter a day. Second, the iPhone 3GS was released in June 19, 2009. That's over two years ago, people! That puppy is fat and old. The world was so different back then. How different? Well, the iPad didn't exist, iOS 3.0 finally brought copy and paste to iPhone users (no multitasking yet! ), Giz was still invited to Apple events and Android wasn't even good yet (for reference, the original Motorola Droid was released on October 17, 2009). 2009 is ancient, you're talking about a phone that's multiple generations behind what was released today. The 3GS is a bloated plastic brick with a screen that pales in comparison to the iPhone 4S' Retina Display. Seriously, you'll go blind if you look at an iPhone 3GS after seeing the beauty of an iPhone 4 or 4S display.